BALTIMORE (CNS) — One of the proudest moments of Brian Loeffler’s 26-years as a swim coach at Loyola University Maryland came at the 2012 Paralympics in London when he helped Brad Snyder, a blind military veteran, atop the podium during a medal ceremony. Snyder is among five swimmers who train under Loeffler at the Catholic university in Baltimore and are representing the United States at the Sept. 7-18 Paralympics in Rio de Janeiro. Although Paralympic practices are adjusted to each athlete’s ability, there are few visible differences between them and a standard college swimming practice. 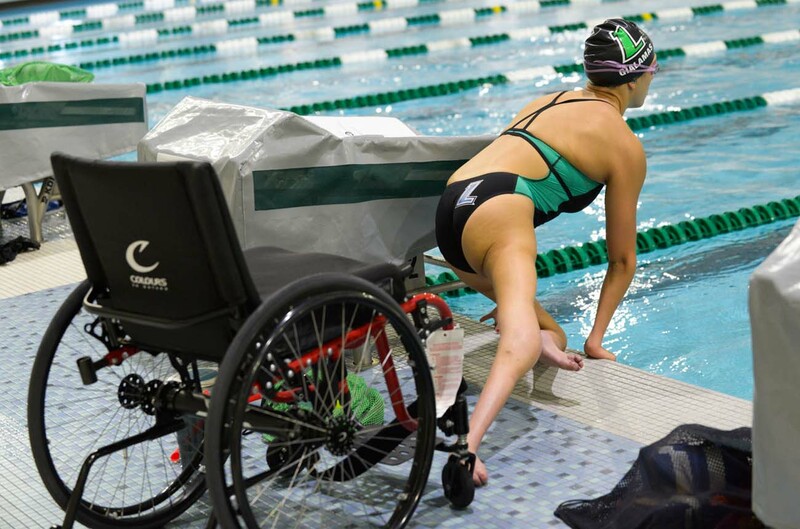 McKenzie Coan, a junior at Loyola from Clarkesville, Georgia, started swimming at age 5, as aquatic therapy for her osteogenesis, also known as brittle bone disease. She earned a berth at the 2012 London Paralympics, where she heard of Loyola’s aquatics program from another Paralympian. “People are friendly, everything is state-of-the-art,” Coan said. Alyssa Gialamas, a junior from Naperville, Illinois, was also drawn to the program by Loeffler’s record. Gialamas, who is studying communications, has arthrogryposis, congenital joint contractures. Cameron Rogers is a contributor to the Catholic Review in Baltimore.